What are the Best Ways in Treating Heroin Addiction? Looking for heroin addiction help? You are in the right place. Heroin is a diamorphine, a particularly strong opioid drug, which affects the brain and body in such a way that it starts to change individual brain chemistry. 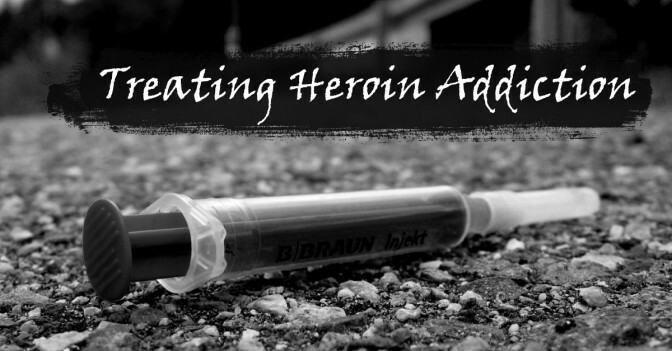 In this article we will tackle the symptoms and signs of heroin addiction, as well as review the pharmaceutical and behavioral treatment that can help an individual treat his/her heroin addiction. Heroin addiction is both physical and psychological. In order to treat this effectively, a person must consider both his/her mind and body. But what is important to know is that each individual has a different experience when it comes to heroin addiction. That means that treatment for each person is different. The combination of medication and behavioral therapies will help an individual optimize the best possible plan for successful recovery and long-lasting health. So let us explain these two types of treatments further. Medication for heroin addiction treatment – Opiate substitution therapy helps addicts gradually withdraw from heroin by providing baseline opiate effects while being less harmful to the body overall. Methadone and buprenorphine are popular choices for treatment of this addiction. These medications are prepared by medical personnel and should only be taken as prescribed. It is important for the individual to be cautious when he/she is using these medications. Behavioral treatment for heroin addiction – This treatment is applied once the body has detoxed from heroin. These therapies, that can include one-on-one therapy and group therapy, treat the emotional and psychological needs which are damaged by heroin use. The main goal of this treatment for heroin addiction is to understand, monitor, and control the compulsion to abuse heroin, and to learn ways to maintain a life without heroin. 2. Heroin detox clinics – These clinics help individuals manage the physical withdrawal of heroin from their system. These clinics provide safe, inpatient supervision during detox. This will reduce the chances of committing relapse in the first few days of recovery, before they seek for rehabilitation treatment programs. 3. Clinical psychologists and psychiatrist – These people work with addicts in groups or one-one-one treatment settings. These specialists are well-educated and have vast knowledge of how addiction works, and which behavioral treatment(s) are best for each person. Psychiatrist – These are medical doctors who can diagnose any underlying mental issues that may be affecting an individual. Psychologist – Provide talk therapy and behavioral modification tools a person needs to stay away from heroin. 4. Heroin addiction support group – This kind of treatment is highly effective in treating heroin addiction, especially for adults. This provides heroin addicts an environment to talk openly with other people who are also addicted to heroin. 5. Licensed clinical social workers – Social workers are well-trained to work in the field of mental health and substance abuse. These people are trained counselors and can reach out into the community. They are sometimes in charge of the support groups and offer classes that could aid heroin addiction recovery. 6. 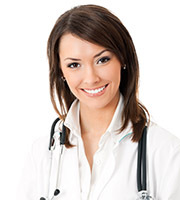 Physician – Do you have a regular physician? If you have, talk to them. They can help you find heroin addiction treatments that are covered by your insurance or recommend medication or therapies to specifically treat heroin addiction. There are times that we notice symptoms of addiction before we admit addiction is present. Knowing these symptoms doesn’t mean that you or your loved one is willing or ready to take treatment. Sometimes, we need to hit rock bottom before we’re willing to seek help. Rock bottom looks different for every person, but it means that heroin addiction has affected you so negatively you have no choice but to surrender and ask for help. Sometimes intervention is needed. Honestly admitting you have a problem is always the first step to seeking treatment.